Make of high quatity resin, it instantly gels after absorption of liquid thus making it leak-proof. 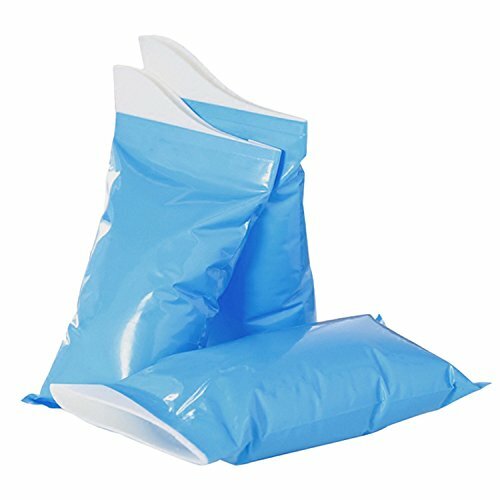 The capacity of disposable urine bag absorbs water up to 600cc, you can use for the emergency situation. Come with garbage bags are used for disposing urinal bags carefully after you urinated. Portable and disposable, easy to carry in your backpack, purse, pocket, or glove compartment. Ideal accessory for traveling, traffic jams, airsick, carsick, biking, restivals and so on. Due to manual measurement, there may be small deviations. If you have any questions, please contect us on time. Sopear will give you the best services.